Sometimes there could be translation problem/guessing problem. From Haku to Aokiji. Same model different name. Maybe they will change it again. Permanent Nanaya form? Too gay? Probably 3 weapons and above or 6 weapons + Ulti to get perm form will be more realistic. 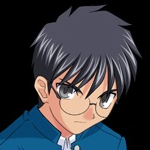 the glaSSes controls shiki's abilities..
the glass has magical abilities..
ill post something from wikipedia..
this is from the wikipedia..
Tsukihime chronicles the story and life of a teenage boy named Shiki Tohno. therefore killing the victim/object as a side effect. Well that's kinda weird, maybe I'll watch it. 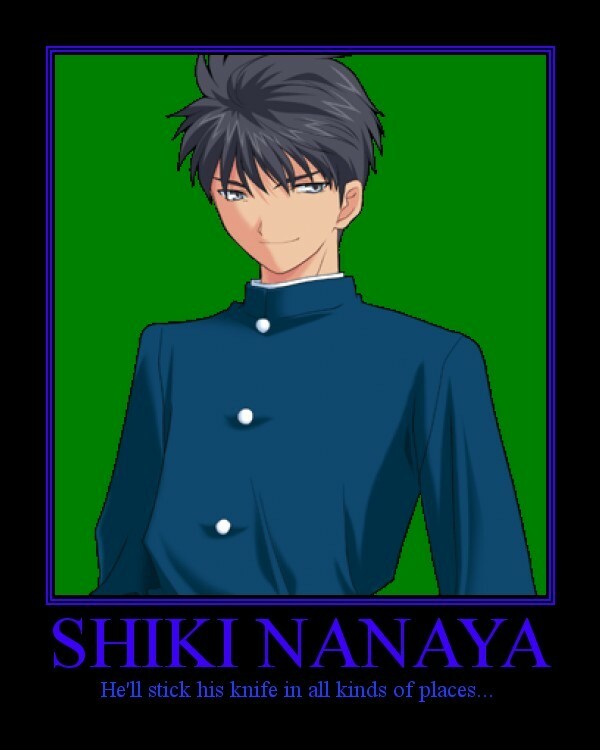 well, from what anime is Shiki??? Shingetsugan Tsukihime. Its an anime based on a manga titled 'Tsukihime' which in turn is based on a Visual Novel of the same name. Its pretty decent for an anime. Didn't really capture my interest though. Is it a famous/good anime?? ?is it a manga? Does it have crazy fighting scenes? Well, if it does have crazy fighting scenes, I might watch it. YAh hahahahahahahahahh so it is a good anime????!!!! xbxcv0000, are U ever read it/watch it??? I like animes with crazy fighting scenes and stuff like that.